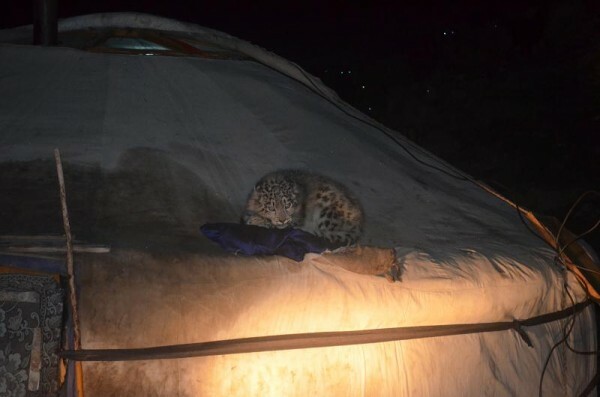 On November 19 a young snow leopard cub made his way to the roof of a ger (Mongolian nomadic tent) for a bite to eat and a nap, thus surprising herder D. Ganbat and his family inside. The family had placed a bag of meat on the roof and the hungry cub decided it was a perfect meal. The heat rising up from within the ger offered warmth for the cub to fall asleep in after his meal. 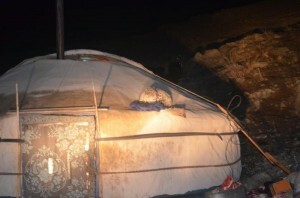 The family used a cell phone to call the association of local herders for assistance. 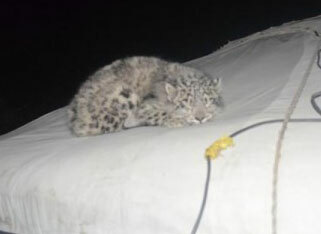 A team led by the governor of the association arrived at the Ganbat family’s ger and after several attempts at coaxing the cub down, they were able to safely capture him. The cub was then transported to the base of the mountains just a few kilometers and safely released. According to Snow Leopard Conservancy’s partner in Mongolia, Dr. B. Munkhtsog, the cub was in good health upon being found. Assuming his mother is okay, it is likely that he will be reunited with her. Since the mid-1990s much work has been done by WWF Mongolia, Snow Leopard Conservancy, and Institute of Biology, Mongolian Academy of Sciences to support the conservation of snow leopards. In the past, the little cub would likely have been killed, because the herders saw the cats as a threat. 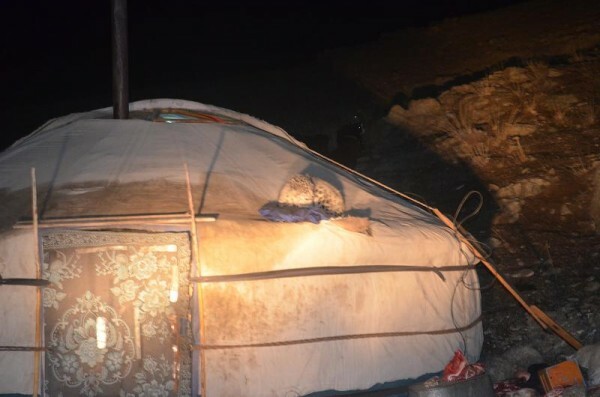 This incident indicates herder attitudes are changing, that they can see snow leopards as a viable part of the community, and that this little cub should have the chance to live a full life.